WITH IT'S WARM SUMMER BREEZE, SWAYING PALMS & SPANISH ACOUSTIC TUNES, WHO WOULDN'T WANT TO GET MARRIED HERE? OUR WHITNEY & TOM TIED THE KNOT ON A STUNNING AGROTURISMO IN THE MIDDLE OF THE ISLAND OF IBIZA. 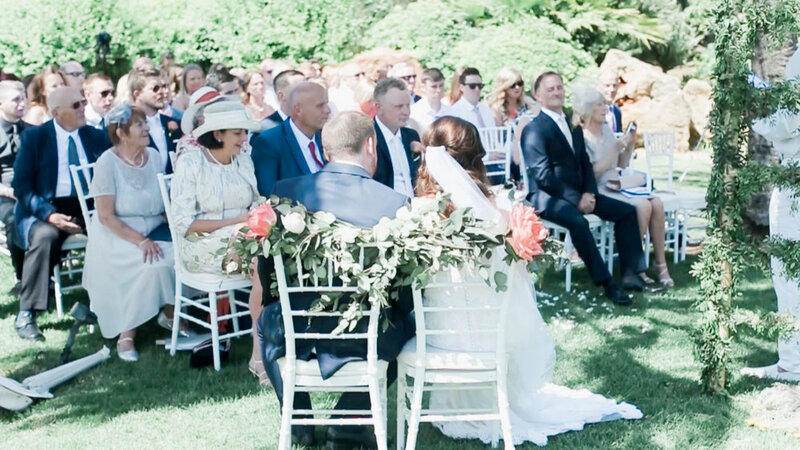 THE SUN WAS SHINING & OUR BRITISH NEWLYWEDS WERE ALL SMILES.